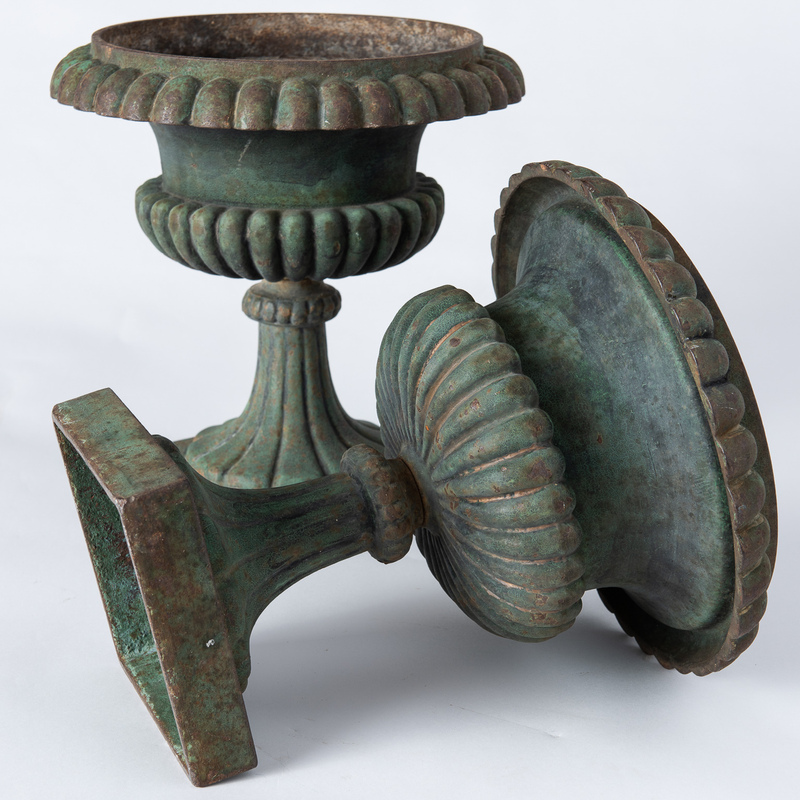 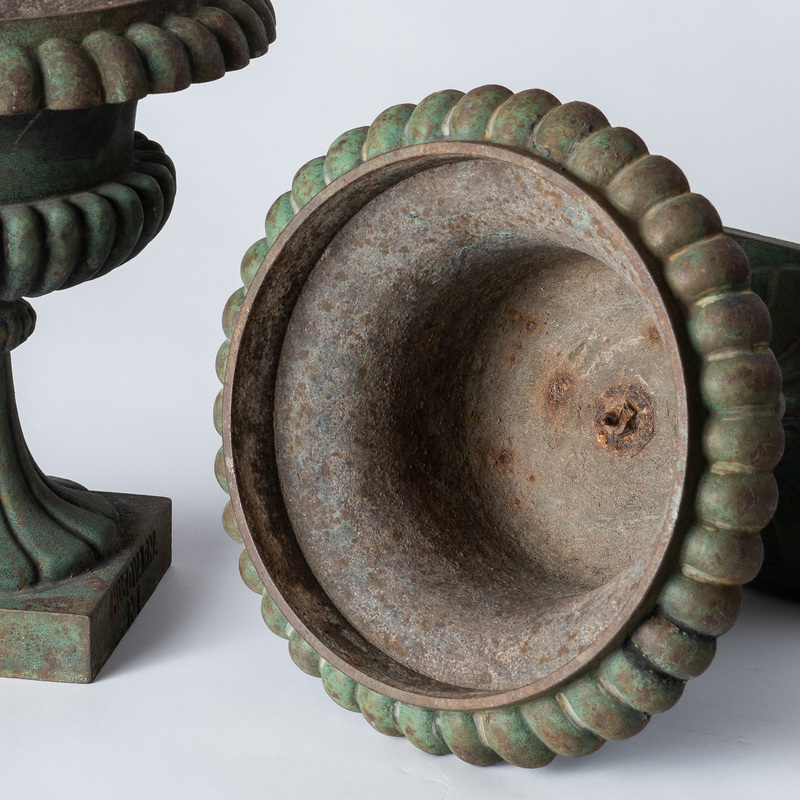 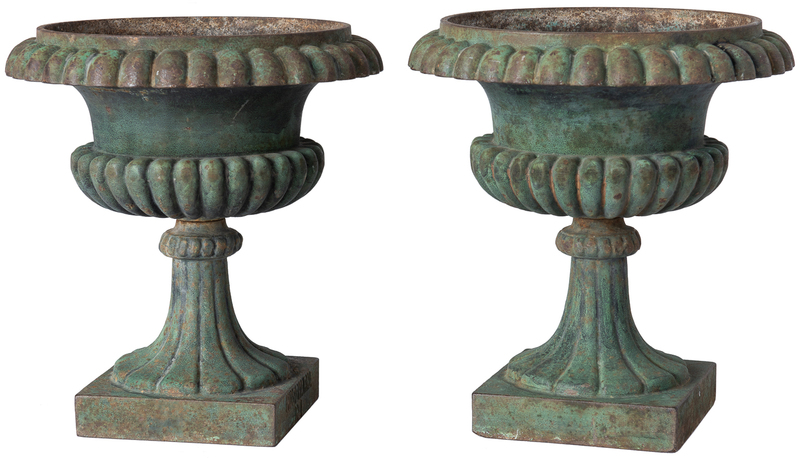 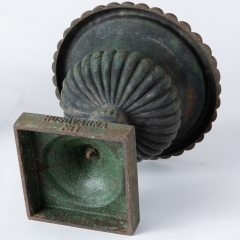 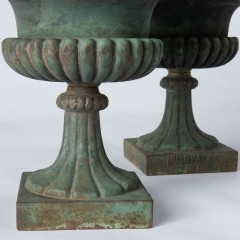 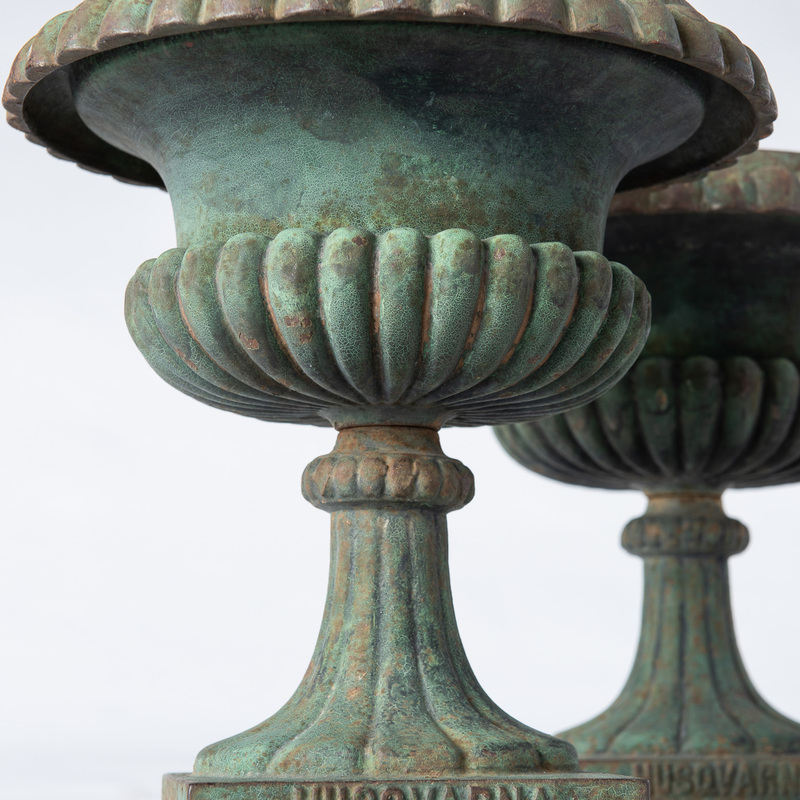 These cast iron urns, of classic form, were made in the 19th century and retain the original green patina. The urns are signed “Husqvarna No. 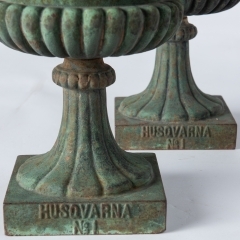 1.” Husqvarna is an old Swedish company founded in 1620 by decree of the Swedish Monarch, making mostly firearms. In the mid 19th century it expanded to include many products, including urns and other items related to lawns and gardens. The urns are a perfect size to be used outside or as a decorative interior element.